Latest Game World of Warcraft (WoW) has topped game sales record in the 24 hours since its launch. Not just for WoW alone but for all PC games. 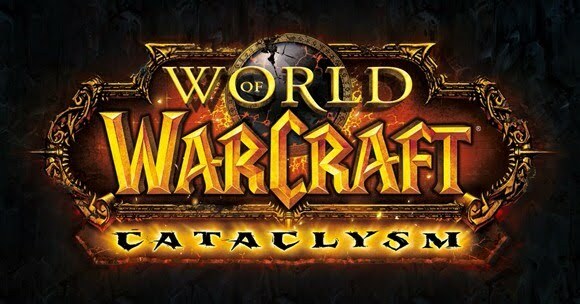 World of Warcraft: Cataclysm is now sold approximately 3.3 million copies for the first day sales. This means one out of four customers have been buying WoW game within 24 hours after release. Based on data from distributors, makers of WoW, Blizzard Entertainment's called Cataclysm as 'the fastest selling PC game of all time'. In comparison, sales of the iPhone 4 to 1.5 million units within 24 hours since launch, and the songs of the Beatles sold 2 million downloads since the first week sales on iTunes, while World of Warcraft: Cataclysm sold 3.3 million copies in first day sales . News about the increase in Cataclysm feature has been the talk for months because it presents the region, challenges, competitions, and a new battlefield in the game. World of Warcraft: Cataclysm also presents some significant developments of social gaming. When Blizzard Entertainment's latest game trailers put WoW on YouTube, the video was immediately seen by one million users on the first day. World of Warcraft: Cataclysm is the third series of the game WoW, following the previous series Wrath of the Lich King, which was launched in 2008. Cataclysm also broke record sales from the Wrath of the Lich King.